Did you know you can make an amazing pie crust using our Smart Portion Rich Double Chocolate Muffin Tops? No? We didn’t either! But recently, after a little experimentation, we came up with a simple recipe to turn our Smart Portion Muffin Tops into a wonderful, fudgy crust that is simply irresistible. 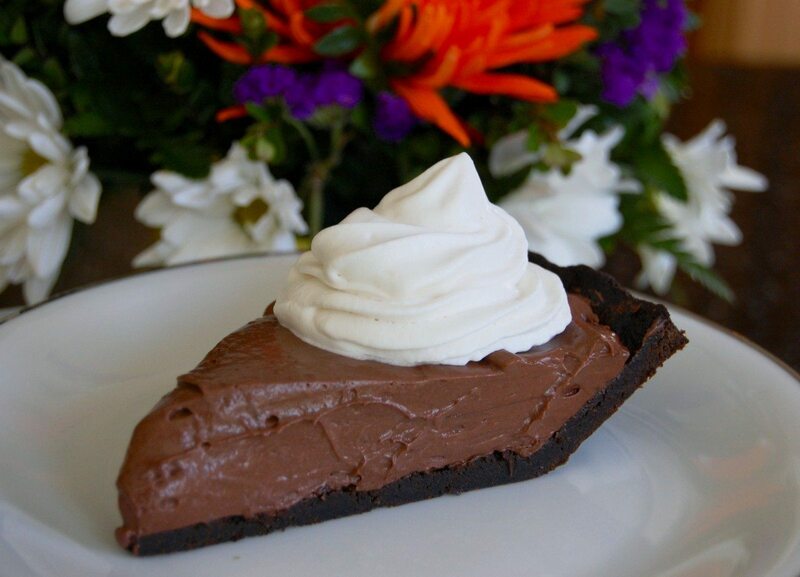 We filled the crust with a delicious chocolate-cream pudding, and a Smart Portion Double Chocolate Pie was born! One taste and we were in chocolate heaven – and we think you will be, too! 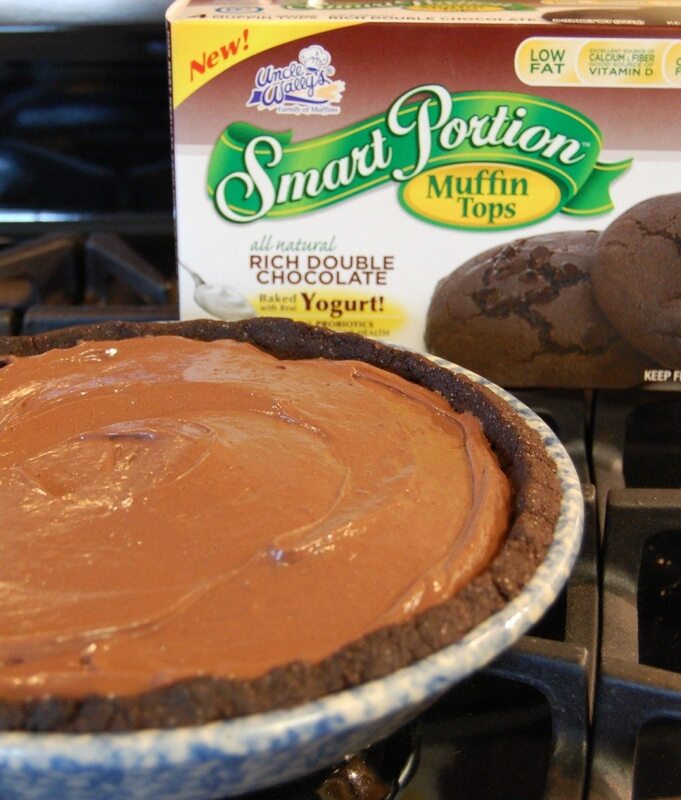 Do we really need to say that our low-fat Smart Portion Muffin Tops fill your Smart Portion Double Chocolate Pie with plenty of healthy probiotics, Omega-3s, vitamin D, calcium, fiber and protein? Of course! You can feel extra-good about having a slice – and serving it to your family and friends! Blend 6 Smart Portion Muffin Tops in a food processor (or break apart by hand in a mixing bowl) until the mixture resembles coarse meal. Add sugar and melted margarine and blend well. Place mixture into a lightly greased 9- or 10-inch oven-safe pie pan. Press mixture evenly onto the pan bottom and up the sides. Bake pie crust for 15 minutes, until firm and slightly crisp. Let crust cool completely before filling. In a mixing bowl, beat pudding mixes and milk with a whisk for 2 minutes. Whisk half of the container of whipped topping into the pudding. Pour mixture into cooled Double Chocolate Pie crust and top with remaining half container of whipped topping (or wait until serving to top each slice). Refrigerate pie 3 hours or more before serving. 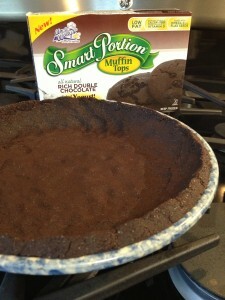 Smart Portion Muffin Tops are available in Rich Double Chocolate, Cranberry Apple and Wild Blueberry. They are available in the all-natural freezer case of supermarkets such as King Kullen, ShopRite, Foodtown, C-Town, Associated (NY), Met Foods, Pioneer and Bravo.